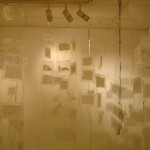 Franny was one of four artists who staged three successive group exhibitions over the course of that year in the Sir Peter Blake Gallery within Dartford Park. Park One, Park Two and Park Three looked at the past, present and future of the Park. Franny and Sue utilised the involvement of the people of Dartford in various ways. Work for Park Two was instigated by running a stall in the covered market to collect memories of the Park. Memories ranged from being proposed to there, the pool being shut due to a polio outbreak, the goldfish being liberated during floods to seeing ball lightning. 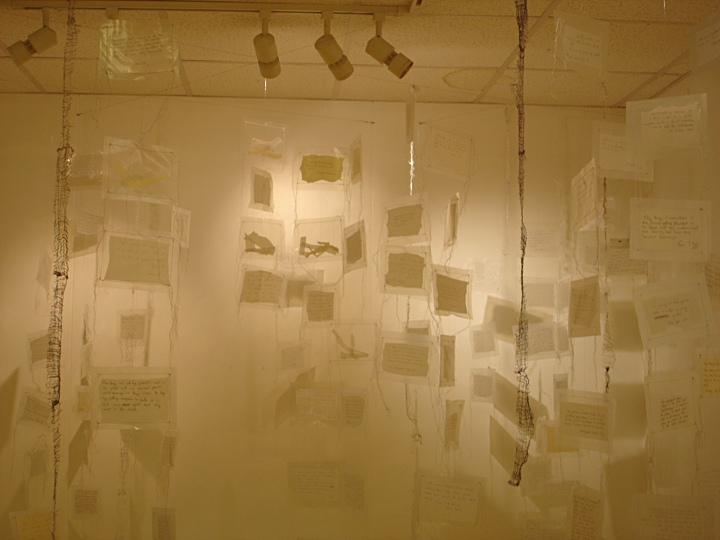 Each of the 300 written memories was installed separately in a hanging that utilised shadows. The memories were consequently transcribed and archived and are now held by the library for the people of Dartford.